Christchurch City Council is looking at how it can make more of the data it holds available to the public. As a first step it is releasing the data it collects on house sales - on a trial basis. That data - which does not contain any private information about individuals - has been available for purchase by commercial companies for some years but from now on it will be available as an open data set, meaning anyone can access, use and share it. “Open data drives innovation and we’re hoping that by making more of the data the Council holds available it will open up a world of possibilities for software developers and other entrepreneurs who may be able to find exciting ways to use it," says Christchurch City Council Chief Information Officer Gavin Till. A wide variety of people, communities and businesses will be able to access ths data and use it to analyse housing affordability, correlate it with other data sources such as health, education and crime statistics, transport data and other data sources for smarter decisions and planning. “We’re starting off by releasing the data the Council holds on house sales but we’re looking at what other data could be made available that might have practical applications," Mr Till said. Stats NZ Government Statistician Liz MacPherson praised the Council for making the data available. "Christchurch City Council has taken the lead in releasing data that is hugely important to business and communities. 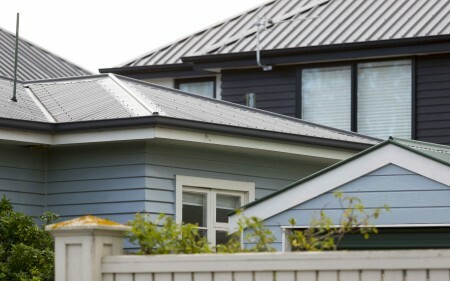 Data that is going to aid smarter decisions by business and citizens, and enable much greater insights into housing affordability in Christchurch City. As Government Statistician and lead for the government's Open Data Programme I would like to encourage other councils to follow their lead," she said. Making data open and available for public use is one of several initiatives introduced by the Council as part of its commitment to creating a vibrant, innovative and sustainable 21st century. Other initiatives include providing free wi-fi in the central city and establishing a website that aggregates data from across the city.